Weddings are a time for celebration, as well as a time for snapping an infinite number photos! Between your wedding photographer’s professional shots, your social media photo booth pictures, and your guests’ candid captures, collecting every photo can turn into a daunting task without the right tools. Luckily, there are a ton of wedding photo sharing apps that will make. Take a look at our top 5 picks for wedding photo apps you should definitely download for your big day. 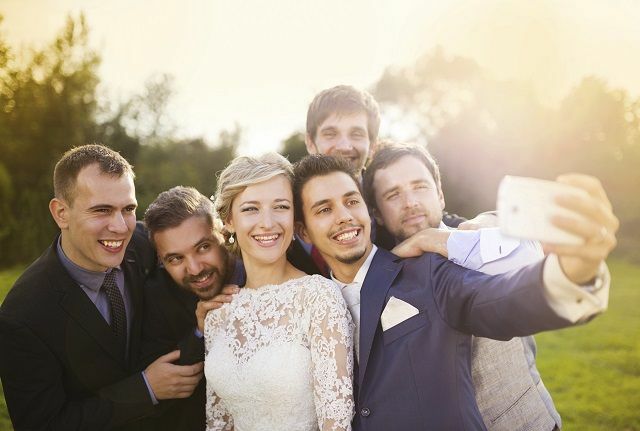 Eversnap is one of the best wedding photo sharing apps because it easily lets you capture all of your guests’ candid snaps and videos and save them in one private online album. While albums are a paid service, your guests are able to download the app and add their captures to your online wedding album, even while offline, for free. With its inbuilt camera feature, guests can directly take photos or videos, edit them with photo filters, and share them right away. It’s just one of many ways to easily collect your wedding photos all in one place! WedPics is so much more than a wedding photo sharing app! While it easily lets guests share their own photos and videos to your online wedding album, it also allows you to share important addresses and map information, dates and times for your different wedding events, and lets you sync your wedding registries too! It’s a one-stop shop (er… app) to help you plan a beautiful and unforgettable wedding. 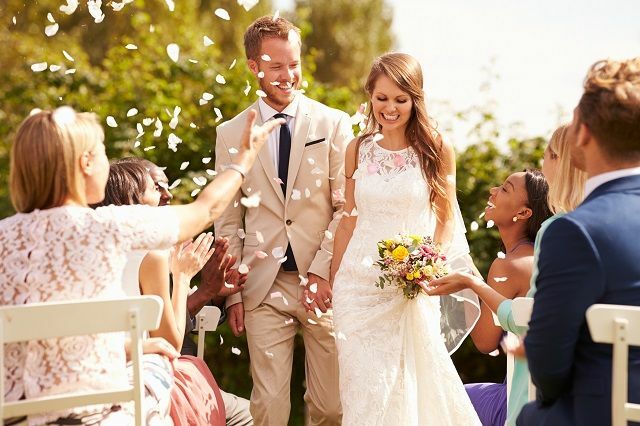 Like most wedding photo apps, Capsule lets your guests easily add photos and videos to your online wedding album from any device, including digital cameras. With the use of your wedding hashtag, this app can also add any Instagram photos to the album! Capsule doesn’t limit your guests to the app for photo uploads—your guests can also add their photos or videos through the website. Capsule also comes with some cool features, such as their Capsule Marketplace which provides various print options ranging from classic prints to canvases. While IFTTT isn’t exactly an app, it’s another hassle-free way to collect everyone’s photos of your big day. This service offers a few different recipes to make photo sharing and collection easier. Put your wedding hashtag to work by using it to save your guests’ Instagram photos to a Dropbox folder. You can also do the same for any Facebook photos! Finally, if you want to easily share all the fun on Facebook, you can also share your guests’ Instagram photos to a Facebook album using your wedding hashtag. While IFTTT isn’t exactly an app, it’s another hassle-free way to collect everyone’s photos of your big day. WedSocial, like most wedding photo apps, easily lets you and your guests share the best moments from your big day in the form of pictures. It also easily integrates your wedding hashtag by pulling any Instagram photos into the in-app photo feed. Since the app is partnered with WeddingWire.com, it comes with a free wedding website as well. Aside from photo sharing, this app was designed with social interaction in mind. It lets you share information on accommodations, directions, as well as details of any wedding events. Guests who download the app can also leave comments and ‘love’ the photos in your photo feed. Personalize the app even more by including a couple bio, sharing engagement photos, and introducing the bridal party to your guests. Another great option to look into is TapSnap’s social media photo booth, which helps you instantly upload all of your guests’ wedding photo booth pictures to an album on your Facebook page. Your guests can also quickly and easily share their photos to their personal Facebook and Twitter accounts, or download photos to their smartphones to share to Instagram. You can also crowd-source your photos with SnapCast, our social media wall, using your wedding hashtag. Display this on the big screen as a live slideshow, or even embed it on your wedding website using a unique URL to share the moment with loves ones who couldn’t attend. These are just a few of the wedding photos apps and tools you can use to easily collect and share everyone’s candid captures of your special day. If you’d like to learn more about TapSnap, or book us for your wedding, feel free to contact us!